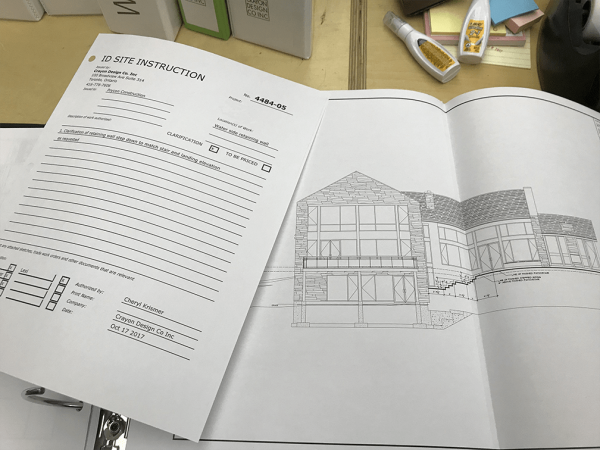 It may seem like a lot, however the building permit requires all of these professionals to be responsible for their work to make sure the house is built properly and does not cause issues with the neighbouring property or with the lake. In this age of environmental responsibility it makes sense. Planning to have people who are specialists in their fields makes sure everything gets built with no negative impacts. The lake that this project is situated on was recently classified as an ‘Environmental Protection Area’ which means another layer of governmental review and approval. Sometimes getting through these approvals is much easier if you work with professionals who know what is required. Fees for each firm can vary from a few hundred dollars to over 10,000.00 depending on how much time and involvement is required for the project. Considering what will be spent on constructing the house, the sum total of all the fees is generally less than 10% of the overall value of construction. In the past, we sometimes used contractors as the source of some information, like Heat Loss Calculations, or Ductwork layouts in the house. 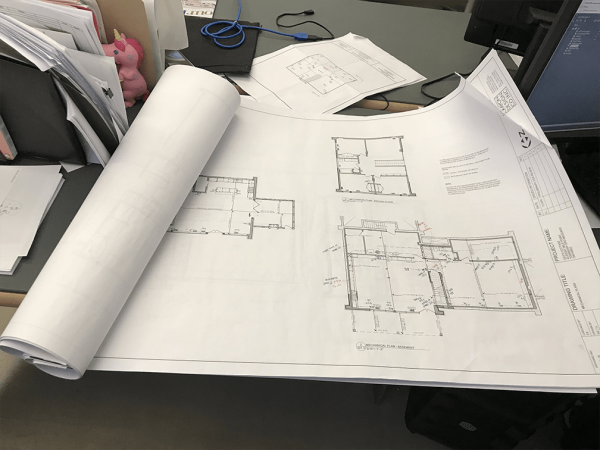 However we are seeing more and more requirements from the building departments to have this work done professionally and submitted up front with the building permit application. It is a good idea to plan getting all drawings done early. This also means that when construction starts, there are no delays. If the contractor is waiting for a decision on window styles (for example), it might slow the project down. Having guys on site doing nothing costs money. It could result in the crew moving to another project for a couple weeks which results in delays on your project. The only drawing we did not have completed at the start of this project was the ducting layout. We needed to have sizes of the ducts and locations for the vents in order to resolve the layout. Today, we are working at resolving the ductwork so it makes a more integrated interior. This means looking at where ducts will be run in the basement so it doesn’t make awkward bulkheads. Our construction set of drawings with the mark ups for revisions to be made to ducting layout. Changes being made in AutoCad to be issued to the contractor as a Site Instruction.